One hundred years of dressing the modern man. Welcome to our "blog". Though, it's best to visit or call. 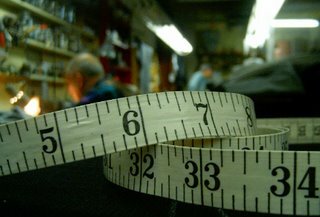 City declares Modernize Tailor Day! At a packed hall at Dr. Sun Yat-Sen Classical Chinese Garden in Vancouver's Chinatown, City of Vancouver councilor Kerry Jang surprised the audience with the announcement that November 3, 2013 was officially "Modernize Tailors Day." It was made in honour the 100th anniversary of operation at the legendary sartorial establishment. Following the declaration, Bill Wong, son Steve Wong, and other members of family read passages from Bill's soon-to-be-published book which recounts his year in China as a fourteen-year-old boy. A great day for Bill and the whole Wong family. The event also opened a small exhibition featuring the history of Modernize Tailors. 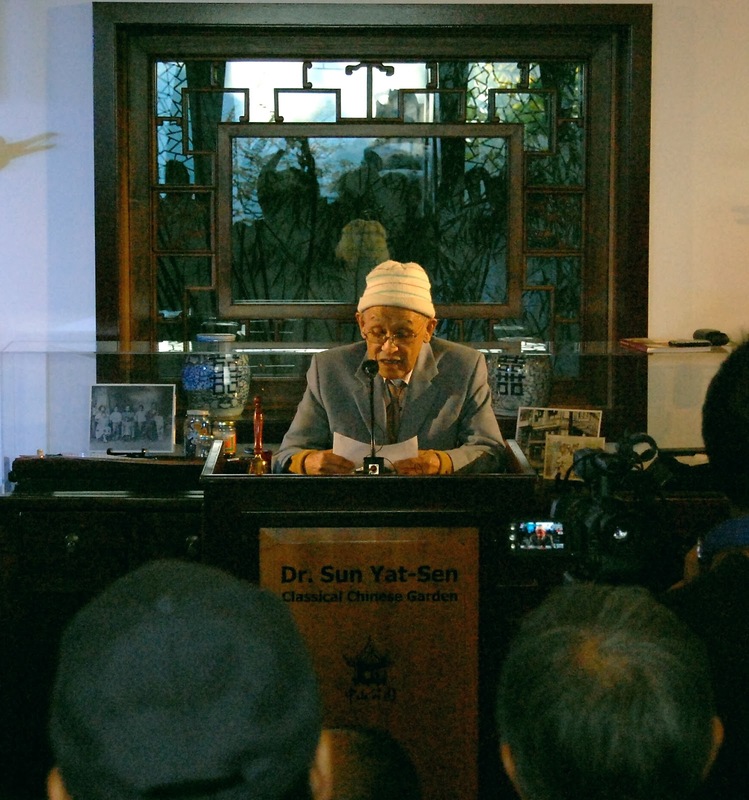 Check out the show at Dr. Sun Yat-Sen Classical Chinese Garden. It will run until November 30. 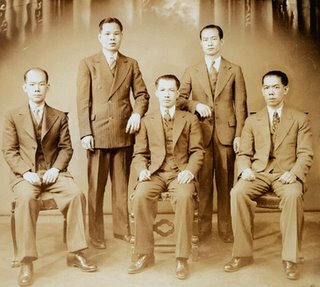 For the first time, an exhibition of not only changes in fashion in the past century, but the constant presence of one of the oldest existing family businesses in Chinatown is made accessible for public viewing. Father, Wong Kung Lai, started Modernize back in 1913. Passing down his skill and knowledge to his 2 eldest sons, Bill and Jack, they then ran the business for the past 65 years. 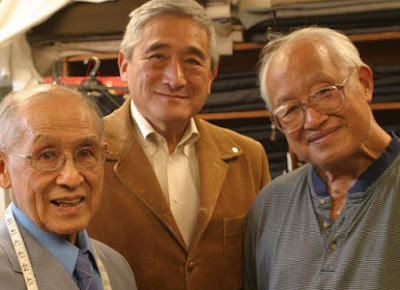 In the postwar boom era, The Wong Family’s Modernize Tailors were the largest tailor shop in Vancouver, serving the local community, as well as suiting up celebrities like Sean Connery, and Gordon Lightfoot. Sunday, November, 3rd join us for the Opening Reception from 1:30 to 3:30 P.M.
Take this rare opportunity to meet and talk to the tailor. Bill, now 91, will be reading excerpts from his journal written when he was 14 about the daily life in a Chinese Village. The passages refer in part to the time Bill and Jack went with their father back to their ancestral village to live and go to school for a year in 1936. ... for their timeless skills and expert craft. See you soon for the second suit and other alterations. Vince in Vancouver." Recent media coverage of tailor Renzo Montagliani's looming retirement has set our customers in a tizzy. If Renzo is retiring, then Bill and Jack must be too. Well, we haven't. Winding down, yes, but retiring -- we're not quite ready. So come by the "new" shop at 5 West Pender in Vancouver and say hello to us and the new studio/workshop. 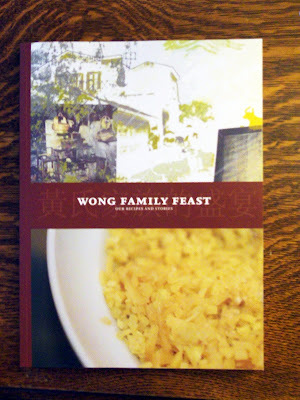 And while your visiting, consider perusing a copy of the memoir/cookbook, Wong Family Feast. WFF was written by our niece Joanna Claire Wong. It recounts our father's, Wong Kung Lai's, journey from the village of Sam Lok Lei in China to Vancouver and from working as a houseboy to becoming a master tailor. And, of course, it tells the story of Modernize Tailors and the family that grew around it. It also includes our favourite family recipes including Zoe Wong's Low Bak Gow Cake, turnip cake. If all this reading requires you to let your pants out, well, luckily you've come to the right place. 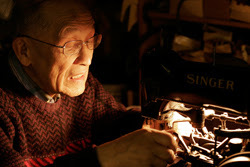 Tailor Made: Chinatown’s Last Tailors just aired on CBC Newsworld's The Lens. 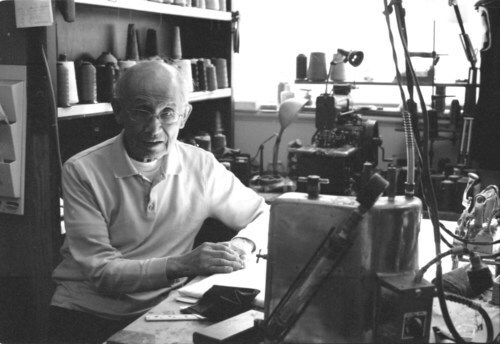 It's about Messrs. Bill and Jack Wong and their commitment to the art of fine tailoring. The reaction to the film has been great. "One of the sweetest, most tender docs in years, Tailor Made is more than just a record of the closing of a long-time Vancouver landmark business. It's a beautifully fashioned story of passion, tradition, family and letting go." "I love it (notch lapel, three-button, midnight blue suit with surgeon's cuffs). It's my favourite suit." "The suit is done and the results are in. I look HOT. Trust me, you just cannot find a suit of this quality or fit anywhere for the money I spent. And the service and care from the men at Modernize was beyond compare." Now that's the making of a blockbuster. Give us a ring at 604-685-0610 for an appointment. If you're curious about what will happen on your first visit, read our advice about getting "your first tailored suit." Bill and Jack Wong, brothers and the owners of Modernize Tailors, are movie stars. An hour-long documentary about Mr. Wong and Mr. Wong just screened at the Whistler Film Festival. "Marsha Newbery's and Leonard Lee's Tailor Made: Chinatown's Last Tailors,,,tells the story of brothers Jack and Bill Wong who are into their 80s but keep threading the needle at Modernize Tailors, this relic of a shop...in historic Shanghai Alley." Very nice, but who are they calling a relic? We are still in business! Give us a ring and make an appointment and check out our new digs a 5 West Pender and we'll make YOU feel like a star. Plus keep your eyes and ears out for the film. Tailor Made will air on CBC Newsworld during Chinese New Year. We hope you'll all tune in but better yet get the real thing and treat yourself to a Modernize Tailors original made with beautiful winter wools you won't find anywhere else. Modernize Tailors is back at 5 West Pender. 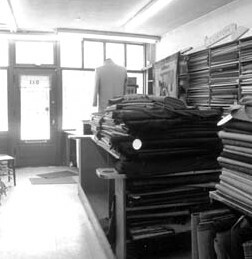 It was the home of Modernize Tailors during the 20s, 30s, 40s and 50s. For your tailoring queries, please call us at our phone number as our we are still setlling into our new old digs. It was a great move with all our family and friends helping out. Makes for an auspicious new start in our old home. Thanks to all. Modernize Tailors takes its next big step mid-March - we're moving to 5 West Pender! It's the historical Chinese Freemason Building and the birthplace for Modernize. We were there for 50 years and spent 40 more at our present store and now we're going to clock a few more decades at 5 West Pender...that's right Modernize is going retro in a 21st-Century kind of way. Best yet, you'll still be able to find us at Carrall and Pender. I'm only hearing good comments about Modernize Tailors. Now I've never had a suit custom made and I'm wondering how much we are talking about. I might contact a few tailors in Vancouver and compare. And it occurs to the tailors at Modernize that choosing a tailor based on price is a paramount thing -- suits cost money. all in all are very important and will have an impact on your sense of satisfaction and an impact on the fit,in the end. So, if you have not picked a tailor yet, keep these intangibles in mind. Yes, it's true. Feeling good in a suit is the most important thing in a tailoring experience and if you have confidence, trust, and a sense of satisfaction from your interaction with your tailor, as Bill says, "You'll always look good." Ask to see our Stash because for summer and fall Modernize Tailors has identified bolts of unique, high-quality, vintage fabrics that stand out from the crowd. With stripes, checks and flecks, they have a colour, character, texture and a feel far beyond the run of the mill, literally. You won't find cloth like this anywhere, anymore. Emphasizing rich weekender blues that have no business in the office, inflected browns that say bye-bye to bland, and deep, prismatic greys that catch the light in surprising ways, the Stash is a collection of bolts of wool, mohair, and flannel wool we'd love to turn into elegant, one-of-a-kind masterpieces. Ask to see the Stash. 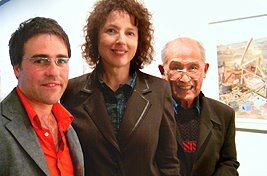 On Friday, April 28, painter Etienne Zack had an opening reception for his nearly sold-out show at the Equinox Gallery in Vancouver. For the big event, Etienne sported the top half of his new reverse denim suit by Modernize. Made for the occasion, we washed and shrunk the material in the dryer and then master tailor Park Wong transformed it into a beautiful jacket. Bill was so happy with the results, he sewed little zeds into the buttons - for the personal touch. Bill also attended the vernissage and he found the artist was not the only one bearing the handiwork of Modernize. Chief curator of the Vancouver Art Gallery, Daina Augaitis wore a brown pinstripe pant suit with satin tape that Bill altered. Plus another, Etienne Zack fan approached Bill and opened up his black blazer. There Bill found a 1970s Modernize label stitched into the lining. Congratulations, Etienne on a great show. Thanks for a fun evening. Up next for Mr. Zack is an opening in London, England, where he will be wearing the entire suit. Red button holes and all. For more visit, Industrial Brand Creative's blog. Recently, a 22-year-old potential customer, who is slender (5ft 7in; 28in waist; 34in chest), asked about alterations. He wanted us to take in or slim down the waist of an existing suit. He also wanted to "add a slit to the bottom half of the backside (for added freedom of movement), as most suits have already." You are the first official inquiry for our site. Regarding the slimming of a suit, it depends. A big suit thinned out for your slender frame requires a few things sorted out. How big is the original suit? Was it fitted for you and this is just a style adjustment to meet fashion, or is it found vintage (my favourite) and requires an update. Big suits that were not made for you can be too big and that's bad. It means the pockets will end up in the wrong place. If it's too small we won't be able to take the radical option of creating an entire new lapel with the extra fabric at the breast. However, it must clear the original button holes. If it doesn't, it may limit our options. If it's your suit, we could nip in the waist very easily. Perhaps looking at the shoulder would be a good idea as well (everything is more narrow and natural these days). The young gentleman wanted us to put in a centre vent, however, it's a recommended strategy to go without a vent as a way of visually lengthening the back and the wearer's height in general. It also makes for a neat back. If you can pull of tight and neat, we suggest, you go for it. Click here to if you want to know more about getting your first tailored suit. 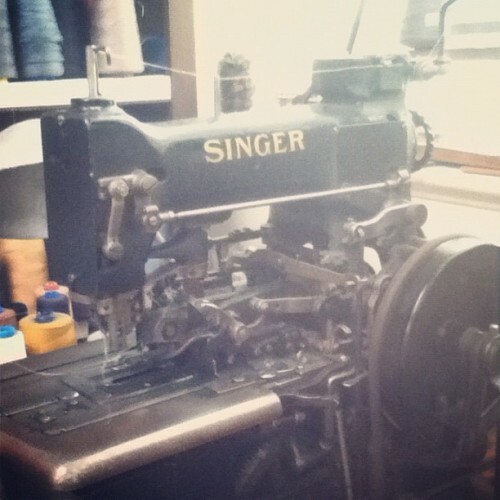 Click here if you want to know more about what we can do for you in alterations. There are a few things you may like to know about outfitting yourself in your first tailored suit from Modernize Tailors. To achieve an elegant fit, you will be measured by one of the master tailors. To help us understand your preferences and your anatomical form, we recommend you bring in one of your favourite suit jackets even if it doesn't fit you. Your favourite blazer reveals much about your personality and preferences. It may have details that you are accustomed to having and, yet, you may not have noticed them. At Modernize Tailors, we take note of those little comforts and will provide you with a vocabulary (a suit semiotic, if you will) that best describes your style. A jacket you hate is just as good. As it will aid in our discussion about what you are looking for in your new suit. 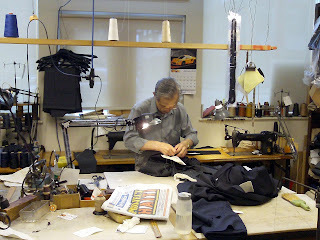 You should know that we make all our jackets in Modernize's workshop. 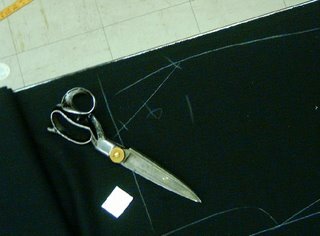 The bolt of fabric you pick on your first visit is the very one we cut by hand on our cutting table. If we must order another bolt, we'll tell you because every bolt of wool is different. And, by the way, many of the great tailors of Savile Row no longer make pants in-house. We do (and we recommend you order two - bottoms do wear out). Then you toddle off. Bring a swatch to your wife or significant other. Call us immediately, if he or she disapproves, because promptly our master coat maker will baste together the jacket without sleeves or lining. A week after ordering, sometimes less, you may visit the store for a trying-on. 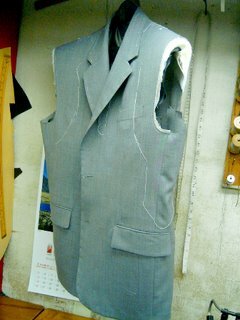 Lapel width, hem, button placement, and shoulder shape and width are fine tuned. If you don't like something, now is the time to make changes. A week later, you may come by the shop to pick up your new custom-tailored suit or, if needed, for a second trying-on. Raise your arms, wonder if it makes you look fat, or too stiff and corporate, or too callow and fashion-oriented, panic, if you must, then calm down. Your suit is a living, breathing part of you. It's the only one like it in the ENTIRE world. It is yours and as unique as you. After a few opportunities of wearing it around town, the jacket will conform to your body and, if we did our job right, it will the very thing you imagined when you first walked into our store or even grander than that. Never button the bottom one on a single-breasted jacket. Stylish gentlemen have been leaving it open since the 18th century. Sure it's just a fad, but when it's two centuries old why fight it? And if you wear a three-button, try using only the middle one. Ties should never be wider than your lapels. Double-breasteds have either four or six buttons. Do you think we sew them all on so you can have a giant flap of wool flopping about? Button all of them up to maintain the line. Bow ties should be TIED! Come visit us and we'll show you how. Never iron your sleeves or your lapels flat. If you feel good, you look good. You shouldn't feel good if you wear a blue blazer with black pants.